Marine cargo pump is used for the fuel oil and fresh water transfer. So it is divided into fresh water cargo pump and fuel oil cargo pump. SILI PUMP can make offer for both of the marine cargo pumps. For fresh water cargo pumps, usually it is horizontal self-priming centrifugal type, of course. This kind of cargo pump request big capacity in big head. 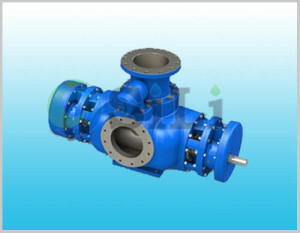 The material for the pump is stainless steel or cast iron. For oil cargo pumps, it can be also a horizontal self-priming centrifugal type, since this type pump cost is small. Of course, a big capacity gear pump can be used as a marine cargo oil pump as well. Finally the twin screw pump is a good choice for the marine cargo oil pump; just its cost is much higher than the former two types. Marine cargo pump is especially widely used on board the offshore working boats, such as tug boats, supply vessels, AHTS, barges and so on. These service boats will carry fresh water and fuel oil to the fixed offshore structure, drilling jack-up rigs and so on. SILI PUMP is a reputation marine cargo pump supplier and manufacturer in China. Click the following suggested marine cargo pump link to find a suitable model: marine cargo pump. Any inquiry or comments about the marine cargo oil pump, just contact us.